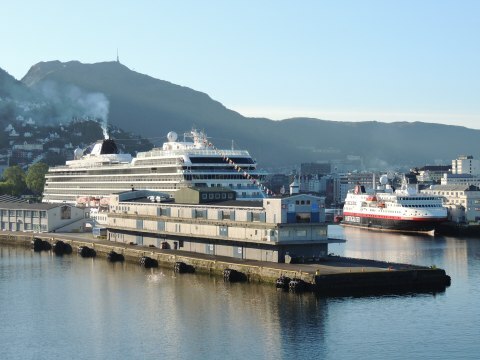 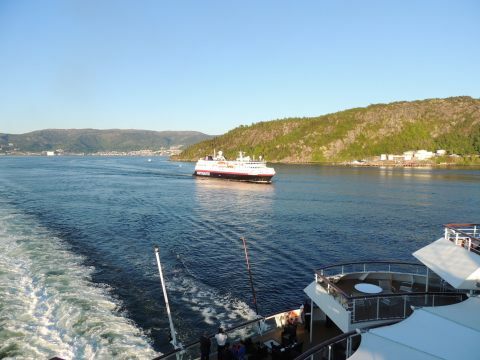 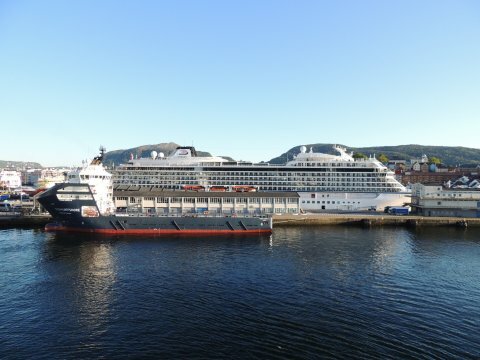 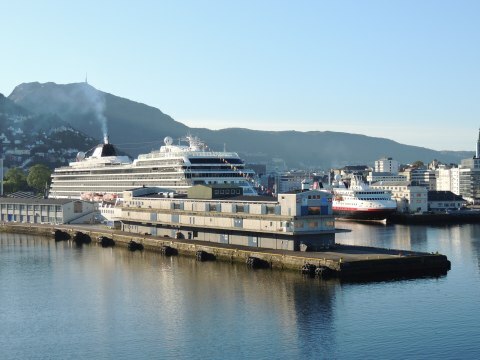 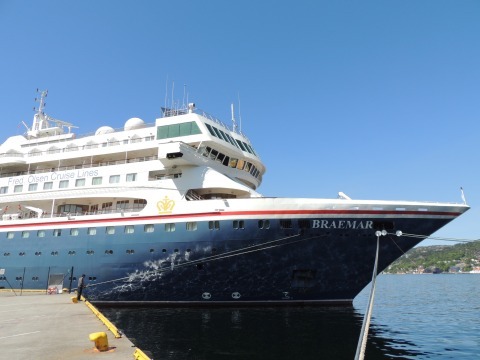 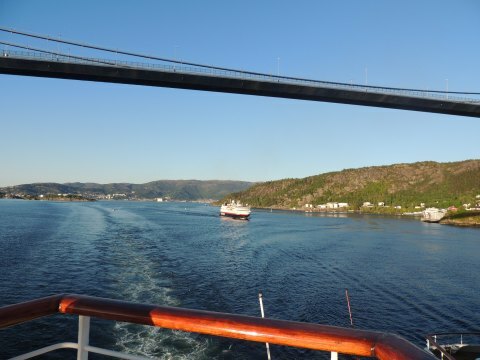 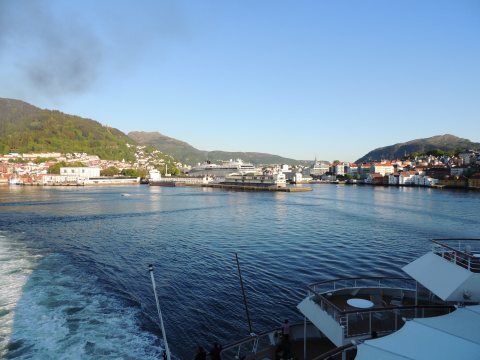 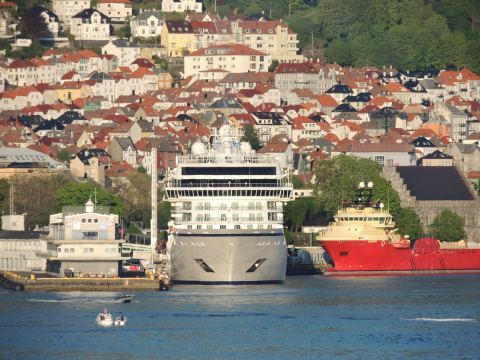 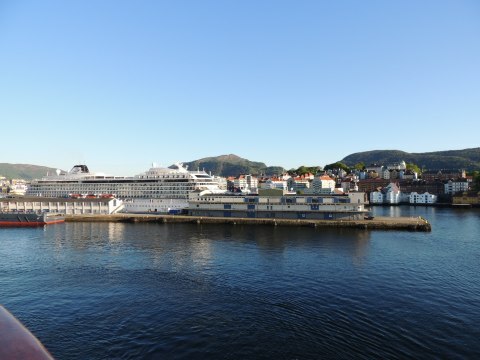 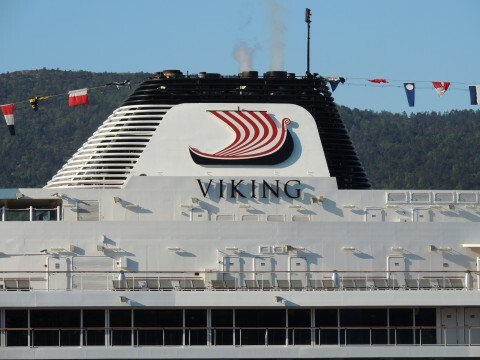 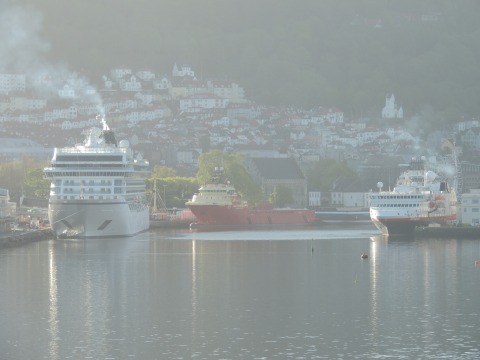 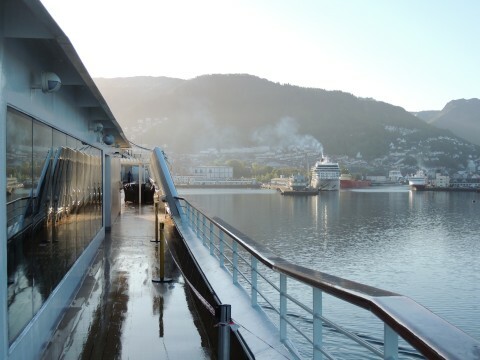 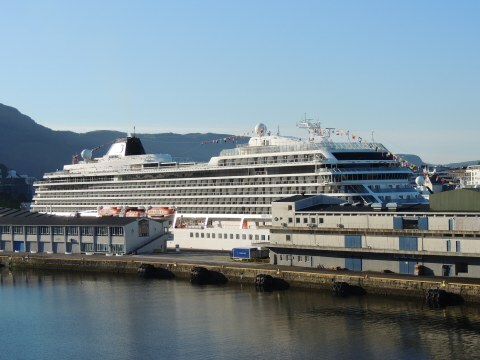 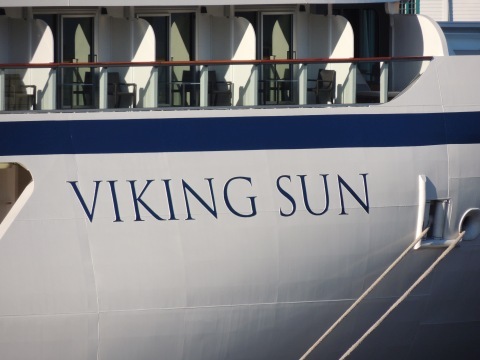 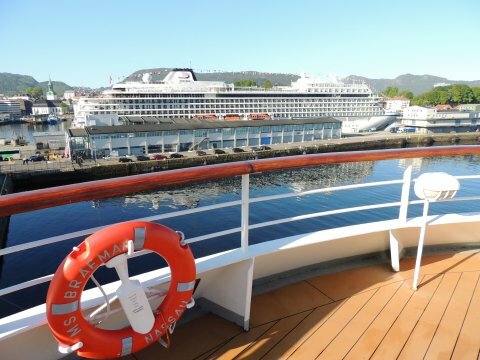 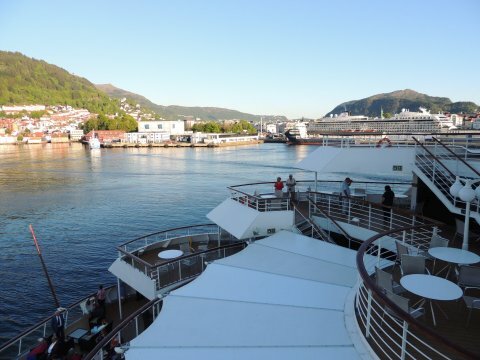 Viking Sun was in Bergen when we arrived on Braemar on the 19th May 2018, having docked the day before and was sailing the following day. 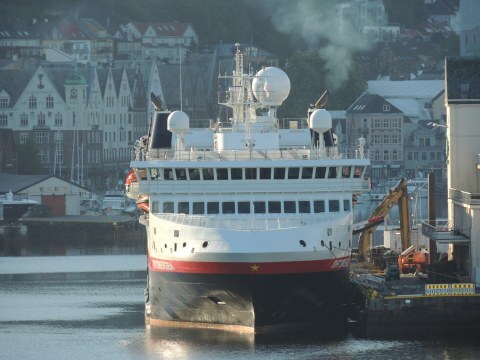 The fourth of a planned fleet of eight, the 47.800grt ship debuted in November 2017. 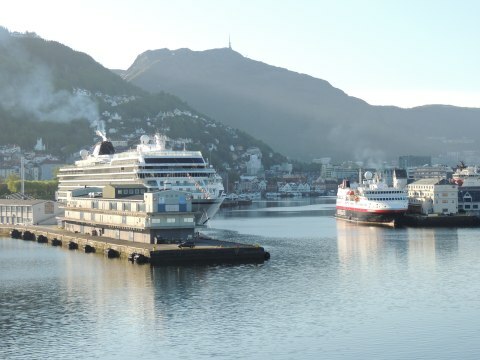 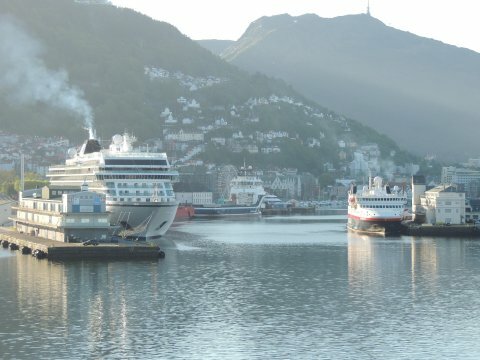 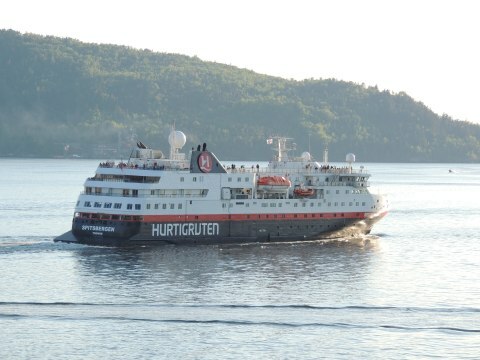 There were also two Hurtigruten ships in at one point. 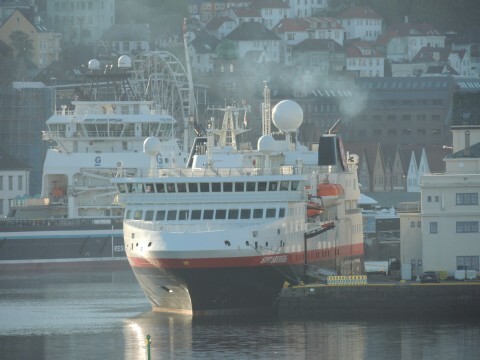 The 7344grt Spitsbergen was there when we arrived. 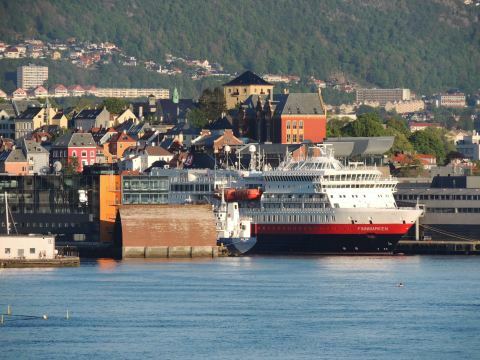 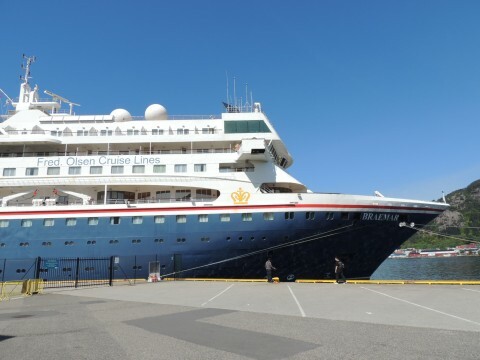 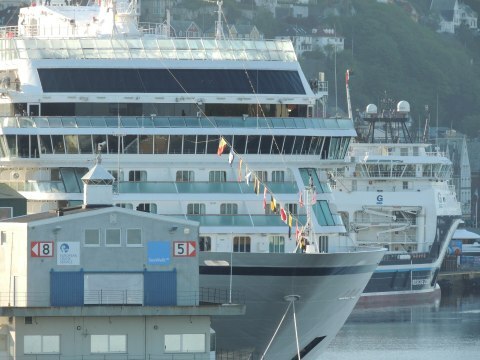 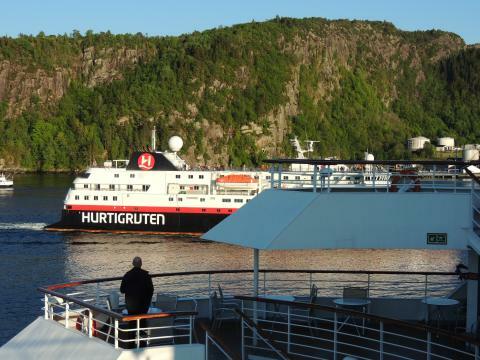 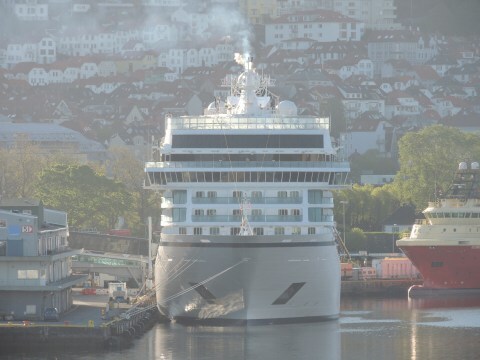 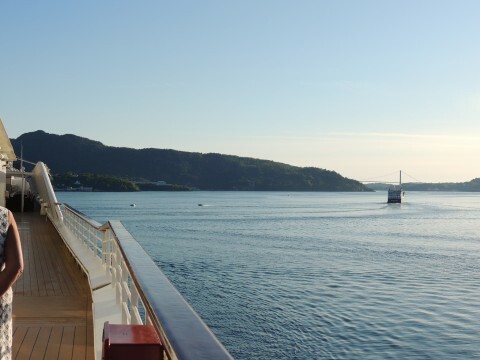 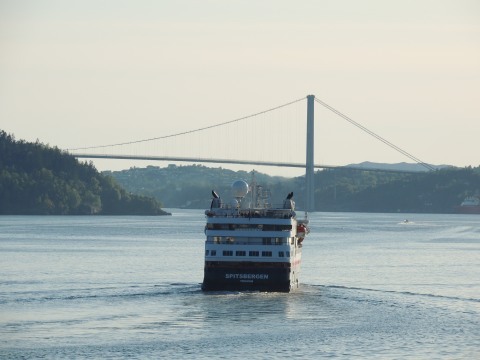 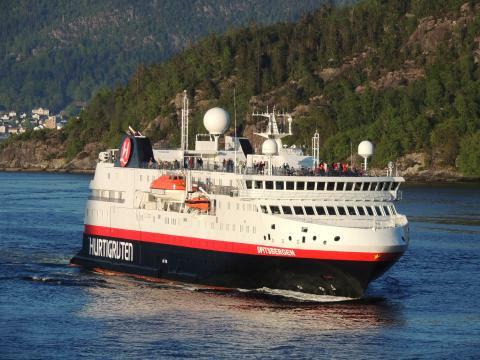 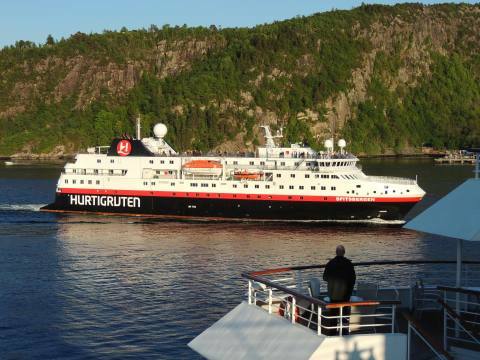 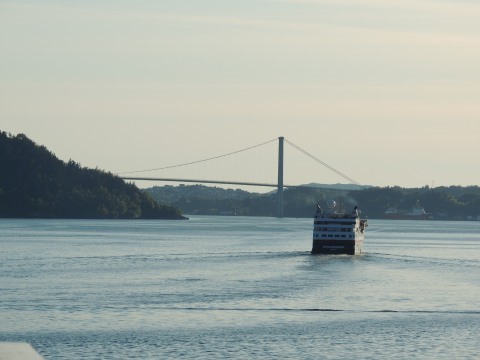 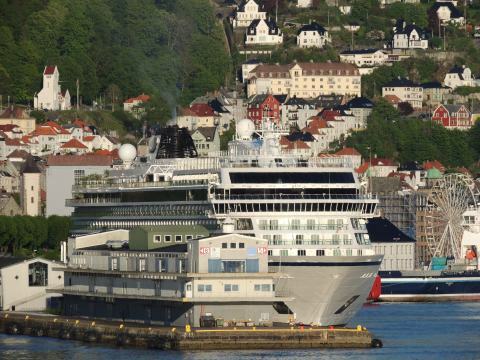 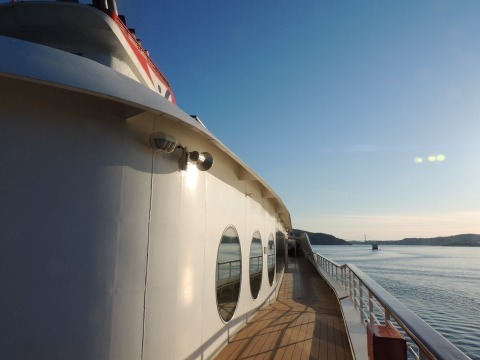 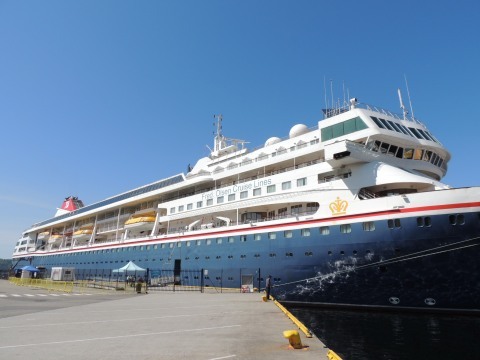 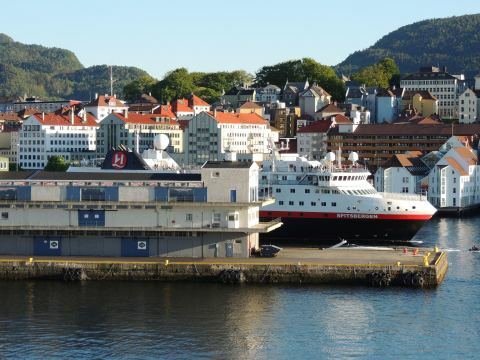 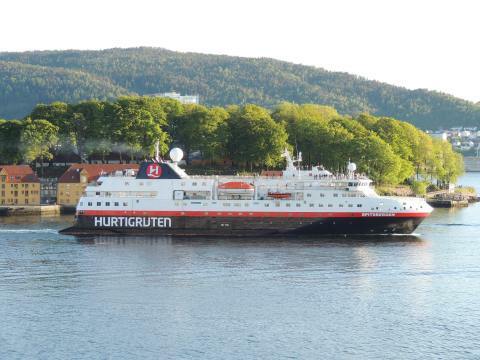 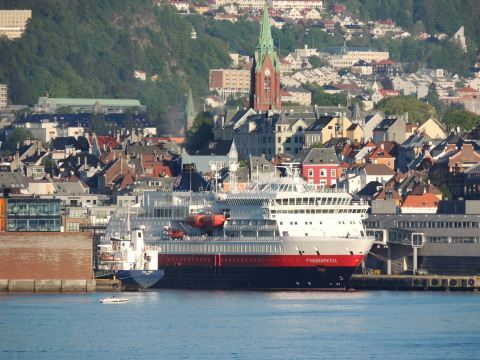 Originally built as Atlantida in 2009 for Atlanticoline, she became Norway Explorer in 2015 for Hurtigruten, changing to her current name a year later. 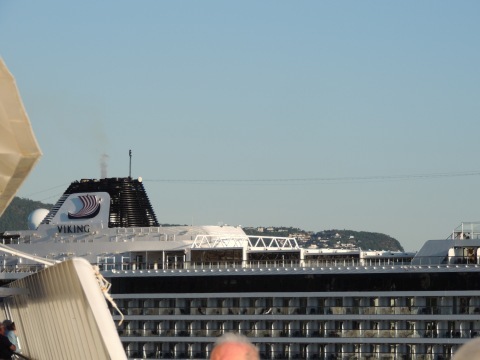 Around 2pm, Finnmarken arrived, tooting her horn. 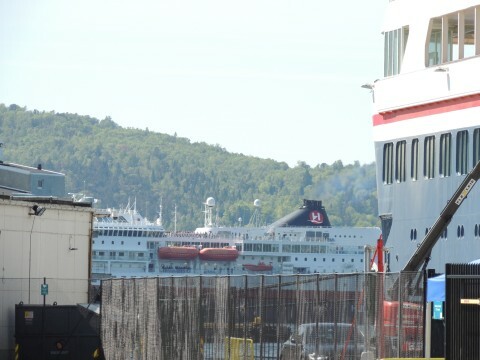 The 15,690grt vessel is the third to bear that name. 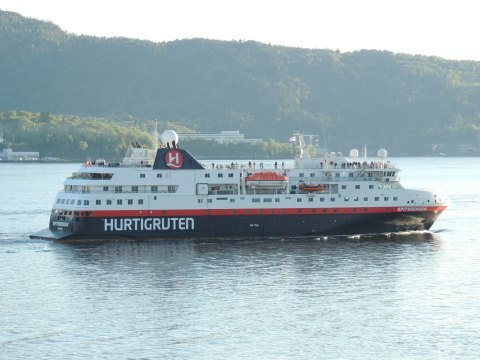 We sailed at 8pm, the same time as Spitsbergen.